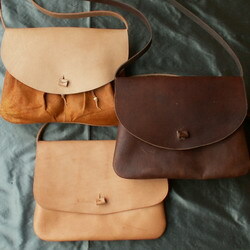 A variety of period inspired shoulder bags. 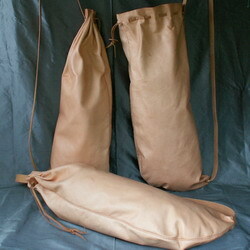 There are many examples of shoulder bags and simple bags in all sorts of shapes and sizes and they have been used throughout history. 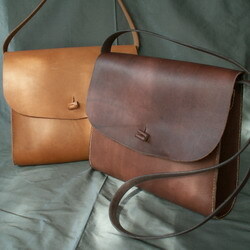 All my bags are made entirely by hand using leathers that are as close to the leather available to the period craftsmen as possible and are dyed using period dyes. All the designs are based on original sources, either surviving examples found in museums or from illustrations found in paintings and prints. I have included source pictures alongside my re-productions so you can see what they are inspired by. 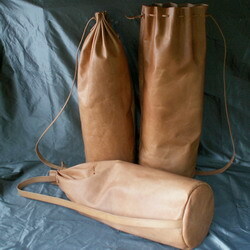 If the bag you want has been sold then get in contact about ordering one.